I can think of few better ways to celebrate Halloween than kicking back with a new Trese story–and that’s just what co-creator Budjette Tan has to offer us today, assisted by the photographs of Melvin Arciaga. Trese: The Devil’s Playground is a four page photocomic (fumetti) featuring, amongst other things, Trese’s youngest fan (or, well, the Kambal’s youngest fan as Budjette puts it). Enjoy the comic and stay dry everyone! 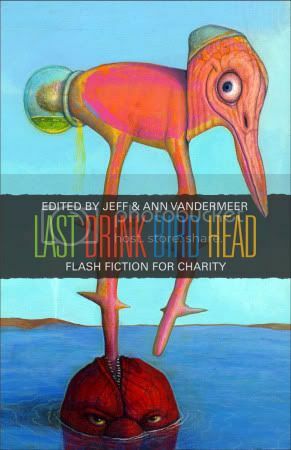 According to a post on Jeff Vandermeer’s site, the purpose of the Last Drink Bird Head Awards is to celebrate those in the genre community who enrich it with their time, energy, and words, often for causes greater than themselves. Finalists for this year’s award were chosen for efforts in 2008 and/or 2009. “On the Far Shore” is what I’m calling this series of interviews with the authors/editors of “The Farthest Shore” an anthology of secondary world fantasy from Filipino writers. The anthology is available here . Today we speak with Joey Nacino, one of the anthology’s two editors, and also the author of “Brothers-in-Arms“. How did you come up with the idea for “The Farthest Shore”? Why focus on secondary world fantasy? As I’ve talked about in the book’s introduction, Dean and I were talking about our love of secondary world fantasies and how as Filipino writers we couldn’t write about them because of the lack of Filipino elements in such stories. So we decided to hell with expectations and come up with an anthology of secondary world stories written by Filipinos. I came up with the title “The Farthest Shore” in honor of Ursula K. Le Guin’s third Earthsea book and thought it apt given her definition of what ‘the farthest shore’ meant. Likewise, I thought the title evoked the feeling of islands, which is really what this is all about: secondary world stories from the Philippine islands, as far as it can be from the US or international readership. How did you go about defining “secondary world fantasy”? The basis of our definition of secondary world fantasy stems from the epic doorstoppers like George R. R. Martin’s and Robert Jordan’s works, as well as J.R.R. Tolkien’s Middle Earth. However, we also thought that this kind of definition is somewhat limiting given the other kinds of secondary world ideas, i.e. the portal-to-a-fantasy-world like Stephen Donaldson’s Thomas Covenant books or the new weird stuff like China Mieville’s Crobuzon tales. You’re obviously well versed in some of the classic secondary world stories. Do you have a few more obscure secondary world favorites to recommend? Those that deserve more attention and acclaim? Well, people can always try the late Paul Zimmer’s Dark Border novels (“The Lost Prince”, “King Chondo’s Ride” and the stand-alone “A Gathering of Heroes”) and P.C. Hodgell’s Kencyrath books (“God Stalk” and “Dark of the Moon” which was later collected in “The God Stalker Chronicles”; “Seeker’s Mask” and “To Ride a Rathorn”, which was collected in “Seeker’s Bane”). Zimmer’s books chronicles a cold war fantasy world wherein evil is just a border away. However, though the heroes of the Dark Border are quite compelling, they’re also tragic. Istvan the Archer is a famous swordsman who foreswore the bow after a massacre that made his name. Hodgell’s books are similar in that evil also lies over another border but her adventure stories of Jaime are leavened by a sly sense of humor. Both have their strengths and weaknesses but overall, they made quite an impression on me—especially since I managed to acquire copies of these more-than-likely-out-of-print books at secondhand bookstores. Unfortunately, there aren’t any Dark Borders books anymore since Zimmer—the brother of fantasy granddame Marion Zimmer Bradley—died in 1997. Fortunately, Baen Books have been publishing omnibus copies of Hodgell’s books and it looks like a fifth one is in the offing. In the course of putting together this anthology, what was your biggest challenge? Your biggest surprise? For myself, the biggest challenge was having enough stories that fit the bill to fill the anthology. 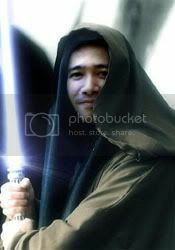 Despite the popularity of fantasy/SF books in the Philippines, it seems like Filipino writers aren’t as keen to write about non-Filipino stories. Or maybe that’s just my perception. The biggest surprise? Filipino writers can write good secondary world stories. Ah, now there’s a statement that might be misconstrued. How was that a surprise? what were your initial expectations when you and Dean began the project? Well, the submissions did open my eyes to what could be considered as secondary world fantasy. Prior to this, my perception of a secondary world story was limited to the Western type ( i.e. J.R.R. Tolkien’s Middle Earth or George R.R. Martin’s Westeros to China Mieville’s New Crobuzon) though I never realized it. Good thing I found myself seeing past this as I read stories that were non-Western– sometimes non-Filipino– but still apply a very Asian context to the idea of secondary worlds. An example would be Crystal Koo’s “Wildwater” story about a poor yet ambitious fisherman who goes off to find fame and fortune in the big bad empire. Ironically, Charles once pointed out one time that the submission guidelines describing the secondary world theme as “too vague”. Good thing that worked out to our advantage. EDIT: Aaaaand he takes home the prize. Congratulations Kyu! Fantasy Magazine recently ran a flash-fiction-and0graphic contest and Filipino author and editor extraordinaire Kenneth Yu’s story has placed in the top three (with the help of Andrew Drilon’s artwork, which PGS veterans will be familiar with). Fantasy magazine is now holding a poll (until November 1, US Time), and the winner will be determined by the voting public, so please do check the stories out here, enjoy the quality flash, then vote for your favorite. And hey, while you’re at the site, check out the other excellent pieces of SF fiction available at Fantasy Magazine. Dominique Cimaframca has uploaded a short slide show from a short workshop he gave for the College Editors Guild of the Philippines. The focus of the approximately twenty slides is flash fiction, and you get to read some samples of Dom’s work in that mode as well. View more documents from Dominique Cimafranca. As the name says, this site is all about deadlines: whether it’s for a contest or call to submission for an anthology; whether it’s for short stories, poems, artwork, or novels; this is about deadlines, deadlines, deadlines. Why? Because sometimes nothing spurs creativity and kills procrastination more quickly and effectively than a looming immovable target. Check back with the site from time to time to see what’s coming up soon, or better yet, subscribe to our feed. If you have any deadlines for contests or anthologies that you want announced here, drop us a note, too. You can also check out their FAQ here. Best Comic Magazine: Mangaholix by Groundbreakers, Inc.
Best Comic Strip Compilation: Pugad baboy by Pol Medina Jr.
“On the Far Shore” is what I’m calling this series of interviews with the authors/editors of “The Farthest Shore” an anthology of secondary world fantasy from Filipino writers. The anthology is available here. Today we speak with Rodello Santos, author of “Queen Liwana’s Gambit“. Could you tell us a bit about your story? Absolutely. My story is about a young boy who wanders the countryside unsupervised with his best-friend, a chubby yellow rodent who shoots electricity. No wait, that’s Pokemon. Okay, now I remember. My story is about an old woman who bargained with dark powers in her youth and who must now face the consequences. It is based loosely on my own experiences pretending to be an old woman. Some of the voices in my head are psychic. Or perhaps I read it on Charles Tan’s Livejournal. Yes, the majority of my stuff is speculative fiction set in secondary worlds. This world is far too boring. That’s a tough question. The first incarnation of this story was written in 2006 for one of the weekly Flash Challenges at the Liberty Hall Writers’ Forum. For these challenges, writers are given a “trigger” and 90 minutes to write a story. The trigger can be a word, a picture, lyrics, or whatever. So, it took it me 90 minutes to write the first draft, then three years to complete the final revision. The final draft. By that time, it just required some fine-tuning, and I could enjoy the story without having to make any major choices. How do you know when a story is “ready”, that it’s time to stop making those minuscule corrections? When I run face-first into the submission deadline (I can be a terrible procrastinator). 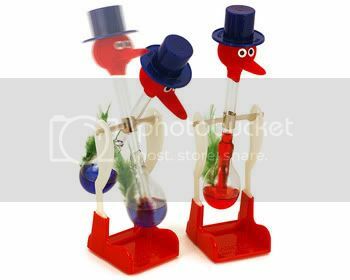 I don’t know that one can ever stop tinkering with a story. If I do a few read-throughs and nothing leaps out at me, that’s one sign that it’s about ready. Of course, an author is often the worst judge of his/her own work. Getting feedback from other writers can be invaluable. This is the first video clip I’ve taken for Rocket Kapre, but there will be more in the future whenever the opportunity presents itself, so please feel free to subscribe to our new youtube channel.